Handcrafted in the USA with the highest quality Russet horsehide from Horween Leather Tannery. 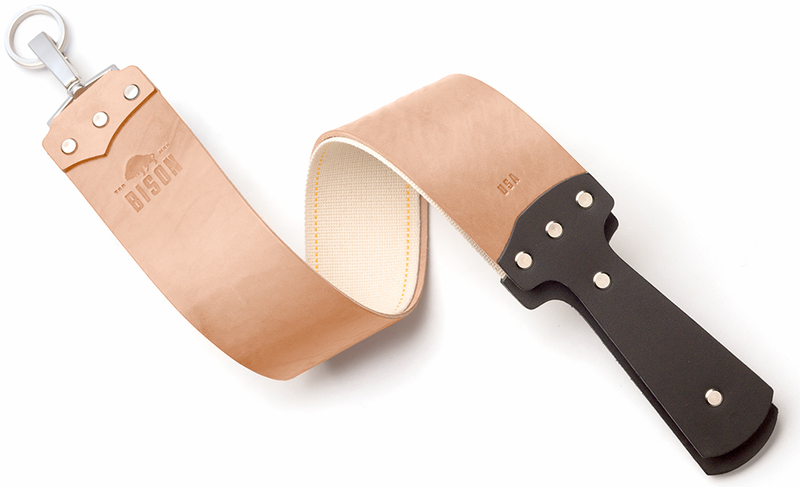 This modular strop is made of horsehide leather, chosen for its rich luster and natural strength. It is assembled with solid brass Chicago screws that allow for easy disassembly to replace worn leather or canvas pieces. The leather stropping area measures 2.5 inches by 18 inches and is matched with 100% cotton-linen canvas strop for removing moisture post shave.